Alan Alda and Neil deGrasse Tyson at the 92nd Street Y in NYC. © 2018 92nd Street Young Men's and Young Women's Hebrew Association. What does it take to communicate science effectively? Neil deGrasse Tyson has an idea, but he’s consulting another expert to unlock the secrets of bringing the universe down to Earth: legendary actor and award-winning science communicator Alan Alda. In studio, Neil is joined by co-host Matt Kirshen (who also hosts the comedy science podcast, Probably Science) and neuroscientist and StarTalk All-Stars host Heather Berlin to help dissect the science in science communication. You’ll hear how Alan developed his scientific curiosity as a child involving experiments with toothpaste, face powder, and watch faces. Find out how his interest in pseudoscience transitioned into a fascination with real science. You’ll also learn how his career in acting began, and how he chooses projects. Heather explains how M*A*S*H (the TV series Alda starred in in the 70s) helped give us a different look at the otherwise “serious” medical world. Find out how Heather started her journey as a neuroscientist and how her original interests have evolved over time. Discover how, as host of Scientific American Frontiers, Alan used a combination of ignorance and curiosity as an effective tactic to get scientists to communicate in a conversational way, making the science more easy to understand by the general public. Play along as Matt leads us in a game of Alan Alda trivia! Comedian (and primatologist!) Natalia Reagan stops by to discuss the art of improv, and Heather walks us through what’s happening in the brain during a creative state like improvisation or freestyle rapping. You’ll learn how good science communicators play to their audiences without coming off as condescending or detached. After Alan leads Neil in a basic improv game called the “mirror exercise,” Heather tells us about “mirror neurons” and the development of self-awareness during childhood. Investigate the concept Alan calls “dark empathy.” Ponder whether or not real listening involves vulnerability and openness to being changed. Explore why Alda thinks humor is a secret weapon for effective communication and find out more about the Alan Alda Center for Communicating Science. All that, plus, we check in with Bill Nye the Science Guy, who humbles us with the smallness of humanity and the vastness of the universe. 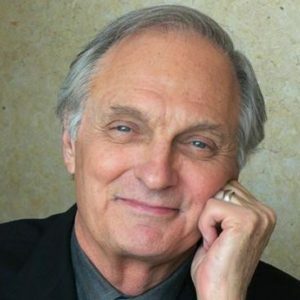 NOTE: All-Access subscribers can listen to this entire episode commercial-free here: Communicating the Science, with Alan Alda.